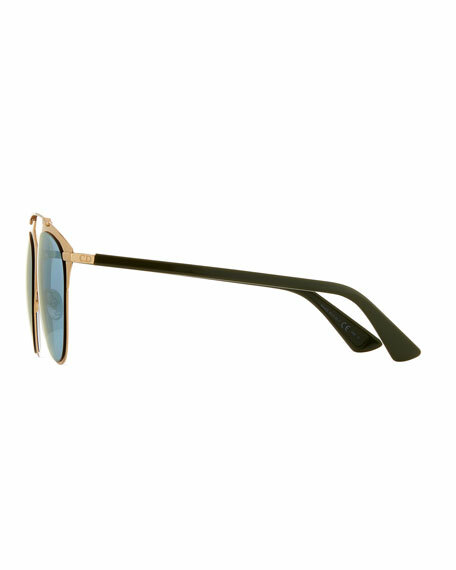 Dior thin rose golden metal and contrast plastic aviator sunglasses. For in-store inquiries, use sku #221585. 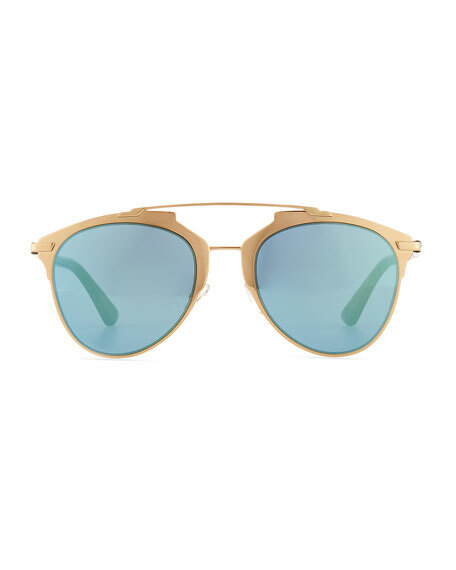 Chloe oversized aviator sunglasses. Lens/bridge/temple (in mm): 56-17-140. Translucent Zyl acetate frames. Square lenses. Double nose bridge. Logo-embossed temples. Capped ear pieces. 100% UVA/UVB protection. Can be fitted with prescription lenses. Made in Italy. 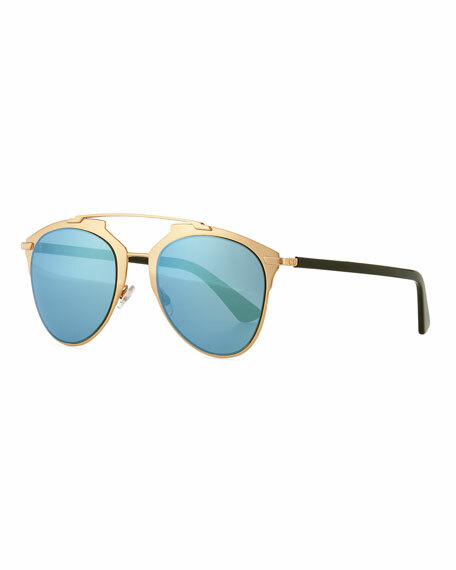 Marc Jacobs aviator sunglasses in metal and plastic. Lens/bridge/temple (in mm): 56-17-145. Monochromatic lenses. Double nose bridge; straight brow bar. Adjustable nose pads. Logo detail at temples. Capped earpieces. Can be fitted with prescription lenses. 100% UVA/UVB protection. Imported. 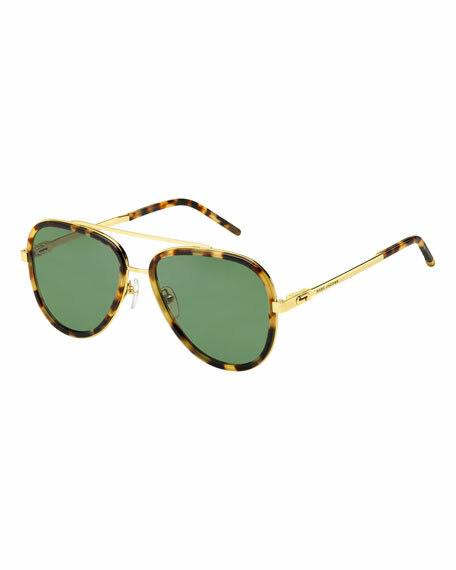 Ray-Ban Clubmaster sunglasses. Lens/bridge/temple (in mm): 49-21-140. Plastic frames with metal trim. Monochromatic square lenses. Semi-rimless frame front. Silicone nose pads. Oval stud detail at temples and frame front. Thin, graduated arms. 100% UVA/UVB protection. Imported of Italian material. The Book Club "Hard Crimes" aviator reading glasses. Lens/bridge/temple (in mm): 55-17-146. Metal frames with plastic trim. Double nose bridge. Straight brow bar. Capped earpieces. Imported.